Prerequisites: Mastery (true understanding; not just a passing class grade) of Physical Science and Algebra I.
Chemistry is a study of matter, its composition, its structure, and the changes it undergoes. Simply put, it is a study of what makes up our universe and why the materials in it behave the ways they do. Chemistry begins with an exploration of the physical and chemical properties of the elements and compounds that make up our world. We then analyze matter's structure to explain those properties. Finally, we explore the reactions that drive the physical world as a result of matter's structure. 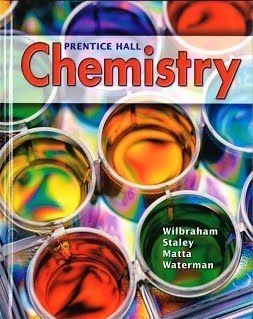 Since this class is the primary prerequisite for AP Chemistry, you will be exposed to the basic expectations of the Advanced Placement (AP) science programs. Homework assignments are accessed and submitted through the Quest Online Learning and Assessment system. Any type of internet access (desktop, laptop, tablet, or cell phone) can be used to access the system.